Its time for another round of Friday Favourites (and there is five of them for this week). This week has been rather intense to say the least so I am happy that its over. I finally finished my first assignment for my Diploma and submitted it on Tuesday which is nerve wracking, I have no idea how I did but its all in God's hands :). I also applied for a few jobs so if you could pray that I see some results soon (and land the perfect job!) that would be great. 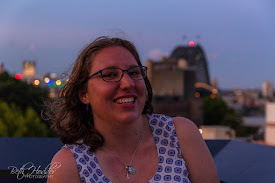 I am in the process of interviewing my sisters for this blog so I am hoping to get those up in the near future, (just need to edit one and get the other all filled out as its only half done!). 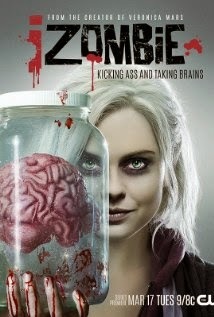 iZombie - I know I already mentioned this on my TV shows you need to watch post but this show just keeps getting better! Its such a different show and despite not being a huge fan of the supernatural I look forward to each episode and find myself getting sucked in even more. The characters are so well done and with every episode I find myself loving Liv more. If you need a new show to start do check it out you won't regret it! 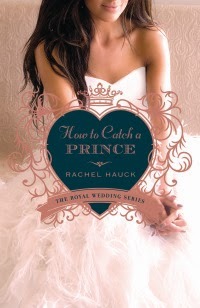 How to Catch a Prince by Rachel Hauck - I did a review on this book here and I am still getting over how good it is. Its definitely a chick read but it has so many levels to it and once you get sucked in you will find yourself wishing you could become a royal (well in some areas at least!). Covergirl Eyelights Mascara - I rarely buy the same mascara twice but I have recently bought my second tube of this. You pick the colour depending on your eye colour and it helps enhance your eye colour. 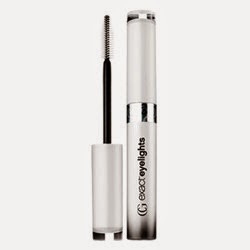 It coats every lash and lasts all day. My youngest sister who never compliments me on my make up actually commented on how good my mascara looked the other day! I use the black sapphire which makes my eyes really pop. The Parcel Girlfriend edition - I have recently been looking at ways to cut down on costs and decided that unfortunately BellaBox had to go and instead switched to The Parcel which is a seasonal beauty box. For $20 each season you get a box filled with various items (which only vary in colours across all boxes so everyone gets the exact same). Its great value and this seasons box was filled with mostly full sized products that I know I will use (including my Mum's favourite cleanser by Biore). Heffron Drive Unplugged The Art of Moving On video - Heffron Drive is up there as one of my current favourite artists, I mean I named my car after them! They are releasing an acoustic album soon and to build up to the launch of it they are putting up some of the songs on YouTube. I love this song already but its amazing in acoustic. I am looking forward to downloading the album when it comes out. Another thing added to the list.